A YouTube UFO hunter who calls himself Mr. Enigma, claims to have spotted a rock formation on Mars that allegedly “looks eerily similar” to one of the world's most famous and mysterious landmarks, the ancient English monument, Stonehenge. According to archaeologists, Stonehenge, the ancient ruin which consists of roughly 100 large upright stones placed in a circular layout, was built in several stages, with the earliest constructed at least 5,000 years ago. The monument located in southern England was once a burial ground. It took an estimated 1,500 years to erect Stonehenge. Up to one million people visit the UNESCO World Heritage Site every year. The UFO hunter's discovery has not been left unnoticed by the popular blog UFO Sightings Daily. "This is something remarkable found by Mister Enigma of YouTube," Scott C. Waring acknowledged. "Its two circles of rocks and one square in its center." In May scientists from Rosetta’s OSIRIS team discovered an unusual formation of boulders in the Aker region on the large lobe of Comet 67P/Churyumov-Gerasimenko. They said it was reminiscent of Stonehenge-style rocks on Earth. 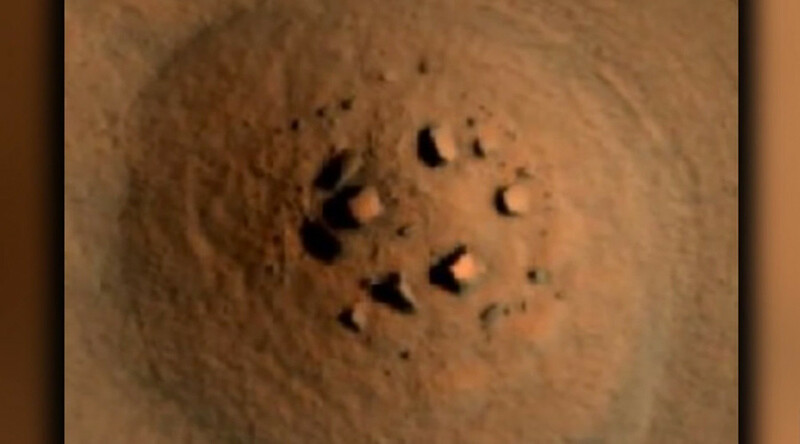 The NASA Curiosity Mars rover also previously spotted what NASA dubbed as a “Stonehenge” on Mars, a "small cluster of rocks that resembles famous rock structure in England."